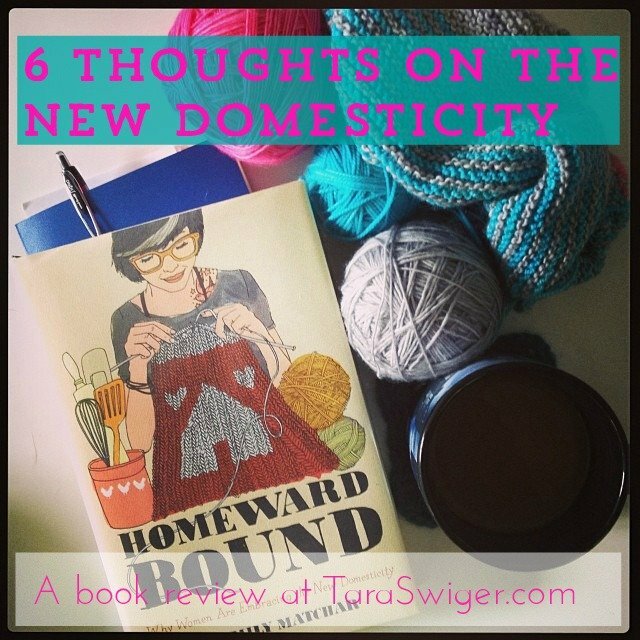 This weekend I read Homeward Bound: Why Women are Embracing the New Domesticity, and the short version is: I liked it! It knits together some threads of our current culture that I hadn't really put together – the rise of: “handmade”, lifestyle blogs, Etsy, foodie culture (organic, homemade, free range), and attachment parenting and contextualizes them in the economic reality my generation of college-educated, woefully underemployeed peers experience. 1. This book is not about an individual lifestyle, but about a cultural phenomenon. I had to remind myself of this a few times because it's odd to read the very first book about my generation and the movement I've been a part my entire adulthood. It's odd to find that it's not just my little underground society of makers – but it's a huge sociological shift. 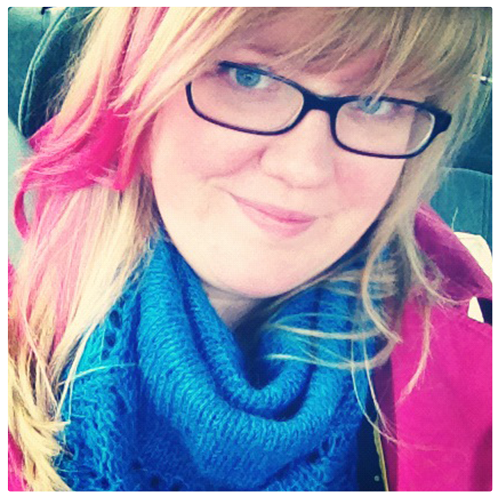 Not everyone interviewed is representative of myself or the makers I work with…but it's not about me. It's about the bigger picture, and the author really does a great job of painting the bigger picture, covering massively successful bloggers and I've-never-sold-a-thing Etsyians, homesteaders and attachment moms. 2. Lifestyle blogs featuring domestic pursuits + the success of some Etsyians set wildly unrealistic expectations. From the jewelry artist who lists a few things on Etsy and is disappointed when nothing sells, to the blogger who thinks she can run a profitable business while “staying home” with the kids, to all of us who look at the perfectly appointed (and clean!) homes and the massively prolific quilters, knitters and writers and think “I'm just not doing enough!” – the internet is warping idea of what real people DO and what we SHOULD be doing. This bums me out because it takes something that some people are genuinely passionate about and turns it into a measuring stick for other women, who have no interest in it. I want to hug you all and encourage you to follow the thing the makes YOU happiest – if that's Thai takeout + marathon quilting sessions – go for it! If it's home-crafted meals (and no time to craft) – go for it! The bloggers you love, and small business you admire are NOT doing it all (trust me, I've seen their houses) – so you don't need to either. I was thinking this over and over as I read stories of women who left the workforce to pursue homesteading or housewifery (their word! ), so I was delighted to read the author state it plainly in the last chapter. Being raised by a single mom and spending years as the unintentional “breadwinner” in the family (yes, even after quitting my boring job), I can not stress how important financial independence is for everyone (men and women!). Your spouse is an absolute gem, but what will happen if they (or you, if you're the bigger earner) get hit by a truck tomorrow? What if he gets downsized? Do you have the skills to care for yourself and your family for the next 4 decades? 4. “Opting out” of having a career is NOT the same as opting out of the traditional workplace. I was disappointed that the author seemed (especially in the blogging and Etsy chapters) to conflate the two. Just because you leave an office job doesn't mean you can't build a career for yourself. In fact, it's what I've spent the last four years doing – building a career as a teacher and a writer. This would be impossible in a traditional job given my French degree and the options available in my small Southern town. 5. Thus, being a “stay at home mom” is vastly different than being a “work at home mom.” Some mommy bloggers and certainly Etsy's messaging pretends that it's all the same thing, and that building a bill-paying blog or business can be done easily during nap times. This is another one of those unrealistic expectations. I'm not saying you can't build a business that allows you to spend more time with your kids, only that the two require prioritizing two different sets of tasks. And depending on the age + needs of your kids, the age + needs of your business, you'll choose one over the other at different times. (In other words, you may get childcare help, or choose to build your business slower). You're not a failure for doing so. In fact, all of the successful bloggers and business you admire are doing the same thing. The book refers to Dooce as a “stay at home mom”, but she's quite clear that she works full-time, in an office in her own home. I love this post, from a mommy blogger who comes clean about the help she has in order to work full-time. This issue comes up a lot when I lead Pay Yourself – women take a good look at their profitability and their scale and then they spot what needs to change, or what they prefer to prioritize (sometimes it means they stop building their craft business, and they find something else that suits their family situation better). I want to tattoo that on your forehead. Don't let society, even a DIY-celebrating society, tell you have to do something to conform – whether it's shopping at Wal-Mart + eating meat or it's shopping at the farmer's market + being vegan. Choose your own definition for success for your family and focus on that. Let yourself obsess (in the fun way!) over what you care most about and give yourself a free pass on doing everything else. In case you're curious, my own brand of New Domesticity looks something like the picture above: I knit + watch TV or read while my husband prepares massively fancy vegan dinners (check 'em out on Instagram)…on the weekends. I quilt while he watches baseball. Jay does all the grocery shopping, and I do most of the dish-washing. We split all other domestic chores, usually on Friday nights (literally: I make a list of everything that has to be done and we each pick half of the things on the list). If it's not Friday, the house is as messy as it is. I bake when the urge strikes. We both work full-time, Monday – Friday, 8:30-4:30. (I could work whenever, but this is when I work best and it gives us weekends and evenings together.) We eat a lot of weeknight dinners of bean dip or spaghetti (store-bought sauce + noodles, maybe with homemade vegan “meatballs”) or homemade veggie burgers. If I were defining our Ideal Domestiticity it would value equality – in housework and in passion-following and in financial decision-making. We value small and local over big and corporate, but we get nearly all of our clothes from Target. We value homemade but we equally value rest and time to pursue hobbies…so if “homemade” means hours of unpleasant work, forget it. (This shifts on a daily basis. Sometimes homemade pie crust sounds like fun, and sometimes it sounds like torture.) And above all, we remind ourselves (ok, I ask Jay to remind me) that our choices in the domestic sphere do not indicate our worth as humans. Explorer Club of Book Lovers – July! Right. On. To all of it! I love this: “The food you cook, the home you decorate, the way you parent, the job you do, the passion you follow – it is not a measure of your moral worth.” And I’ll add: The choices you make do not give you license to judge the moral worth of someone else according to theirs. Great book review! I agree- sometimes we get so caught up in what society (whatever one we are in) says is valuable, we lose ourselves in the fray. How well we are doing is not necessarily reflective of how we are. It sounds like the heart of the book is showing the upswing of the DIY movement- which I’m so happy to see. Thanks for reviewing- I’ll keep it on my books to read. A much needed dose of reality and gentleness with ourselves, Tara. Thank you so much for the review, but still more for put down all this thoughts, I agree a lot with you! I think your #3 is tremendously important. I meet a number of folks in the craft industry who work hard to build a career that’s their passion, and aren’t making any money. Of course, that’s normal for the first year or so, but isn’t a sustainable life style. I often feel like many womens’ crafty careers are being subsidized by their husband’s jobs… which is fine if you’re upfront about it. But, it strikes me as strange that one could call a non-money-earning adventure a career. I love this post — really! I want to think on what you said some more, but I didn’t want to close the window without saying “thanks” for the inspiration, the nuggets to ponder, and the book referral!